The name "KIA" will surprise you especially when you consider it to be the name of the manufacturer. However, the tag line in itself denotes that this brand is all about surprise. It should also be considered that this Korean car manufacturer has surprised individuals since its formation in 1944 when it started off as a bicycle parts producer and steel tubing producer. After six years, this brand introduced the first bike in Korea. After undertaking this first major step, this brand evolved to develop different means of transport which were light that included scooters as well as motorcycles and then eventually pooled up the resources and experience to build cars. This whole conversion process from a bicycle producer to a car manufacturer took more than 2 and half decades. Motivated by the fact that it had its own brand of cars and the fact that it was much richer now, Kia invested in an assembling plant. The plant at Sohari was eventually completed in 1973. This assembling plant became the first for Kia and it had the latest technology including cutting, welding and bolting machinery and it eventually became the place where the first gasoline engine which had internal combustion was developed in Korea for the first time. 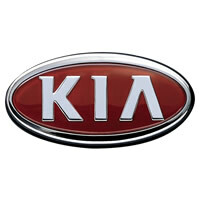 Eventually, in 1974, the first car built by Kia was released into the market, which was a passenger car known as Brisa. Eventually, because of Kia's modern technology, the brand became popular with other foreign producers include Fiat and Peugeot with which the KIA partnered to have house production for certain models of those brands including Fiat's 132 and Peugeot's 604. 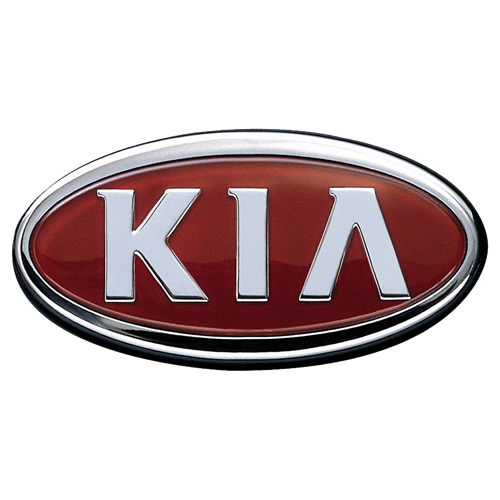 Kia in 1980s became almost the size of Hyundai who was considered the main competitor for this brand and which was considered the top Korean producer. There were some models by Kia which were given different names and were sold and marketed overseas including the Pride which was known as Ford Festiva abroad. After a few years later, Ford became interested in the Avella which it marked as the Ford Aspire in the North American market. The Avella was a sub-compact car which also had a hatchback version that had five doors, as well as a four-door sedan which had the option of a 1.3 and 1.5 liter engine. At this point in time, Kia had not broken into the US market as yet but it was on its way. Therefore, in 1992 the brand started business somewhat timidly in the United States through a four-dealership network which was small but was able to sell some of its vehicles in the year 1994. After this point, Kia expanded in the United States and was able to reach to almost every state in the United States except North Dakota. The reason why people bought Kia was the fact that it was largely affordable. However, Kia also made a break into other market segments made possible when it introduced the first sport utility vehicle in 1995 known as Sportage. However, this was a mistake that Kia made just like Hyundai had made, since it suffered many financial difficulties which were ineffectively managed. The actual trouble started off in the 1990s when the manufacturer went completely stagnant when it came to innovation. Hyundai came into the picture through a merger with Kia, and effectively getting rid of the competition. However, both companies had troubles along with bad reputation and low sales volume due to the fact that their cars were not considered reliable. The bland styling of the car was also a downfall because the buyers were not looking for it. Therefore, both the brands underwent some restructuring stages, which was heavy on the pocket. However, Kia received a boost in 2001 when following the example of its owner, it worked on a vehicle which had more reliability and better quality. After this, the Korean manufacturer was able to acquire segments of the Korean market, especially through the Sorento, Rio and Cee'd models. One of the top priorities of Kia includes the development of bolder designs which have evolved into different concepts as shown by Soul, which was marketed into the world at the auto show in 2006 held at Montreal along with the Kee, which had excellent styling elements.